When I started thinking about journalism as a high school student, I pictured a staff job. Who didn’t? Maybe I could write bold features for a magazine or report for a metro newspaper. Based on my conversations with non-journalists, that’s still the picture a lot of people have when they think of a journalist. But we know the truth: More and more of us freelance, untethered from a publication (and company-provided health care). So if your SPJ chapter doesn’t have programming with freelancers in mind, you’re missing out on a large segment of the journalist population. I held editor positions at several trade magazines, but after those, I ended up in a corporate content job for the stable hours and pay. But journalism had seeped into my soul. While I worked at the corporate job, I started freelancing part-time, making the leap to full-time freelancing in March 2017. I now lead SPJ Georgia’s freelance committee, where we focus on creating value for (who else?) freelancers. Besides helping your freelance members, having this type of targeted programming can help invigorate your chapter. Freelancers often don’t have coworkers to commiserate with, so they are more apt than staffers to attend social events. Freelancers also don’t have an employer or coworkers helping with continued learning, so they are interested in opportunities to gain new skills. Freelance job fair: Inspired by a similar event from SPJ Florida, this is our biggest event of the year. Freelancers sit down one on one with Atlanta editors in 10-minute increments to meet each other, then talk and pitch, if they’d like. Simultaneously, we have learning sessions. This year, we invited experts to talk about freelance taxes, social media and business planning, which freelancers could attend while they waited for their editor appointments. We held our second annual job fair in August. Monthly lunches: Based on a similar event from the SPJ D.C. chapter, we have casual lunches for freelancers in a different Atlanta restaurant every month. There’s no programming or RSVPs. We just pick a day, time, and place and announce the event. It’s open to anyone who wants to attend, member or not, and people pay their own way for lunch. This is a casual setting to talk with fellow freelancers. It can get lonely out there, so these lunches give us a chance to socialize. These events and gatherings have worked for our chapter. If you want to copy any of them, we’re happy to answer questions. I also encourage you to design your own programming. Talk with freelancers in your area to find out their needs and how you can address them. Remember that not every freelancer is full-time. Many people who work a staff journalism job – or a job outside of journalism – freelance on the side. This opens another segment of SPJ members who can benefit from freelance-specific programming. Many freelancers don’t have coworkers, so we must seek out opportunities to network, socialize, or just find someone who can read over a pitch email. We have a vested interest in making connections. So don’t overlook freelancers. Not only are their numbers growing, but they could be some of your most engaged membership. Atlanta-based freelance journalist Adina Solomon is chair of the SPJ Georgia Freelance Committee. Her work has been published in outlets including The Washington Post, U.S. News & World Report, The Atlantic‘s CityLab, and The Bitter Southerner. You can see her work at adinasolomon.com. Expand your freelance network – join SPJ’s freelance community! 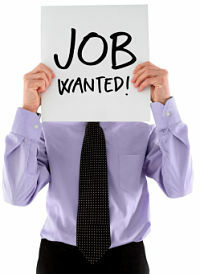 Freelance Directory – get listed, get jobs! To learn more about the Freelance Community, email Michael Fitzgerald or, join us Sept. 4-6 at Excellence in Journalism 2014 in Nashville, Tenn. We’re organizing a “no host” freelance meet-up on Thurs., Sept. 4 at 8:30 p.m. Central Time. RSVP here. Expand your freelance network and job opportunities – join SPJ’s Freelance Community today! *To access some of the community’s resources, you will need to login with your member ID and password. If you don’t have one, click here. If you have a member ID but have lost your password, click here. Nobody likes a committee, except maybe a camel. So when SPJ leadership asked the Freelance Committee to think about becoming a community, we threw off our chains and reveled. Perhaps not. We are still a committee, after all. We did what committees do: discussed the pros and cons and took a vote. We decided to make the transition. That process starts in earnest at the Excellence in Journalism Conference, when the traditional one-hour freelance committee meeting will become a two-hour discussion of how to make this transition from committee to community effective, and perhaps a model for other SPJ committees that want to make a similar transition (there are other SPJ committees considering the same transition). • Have the ability to maintain bank accounts. • Have the ability to conduct programs regionally, nationally or online. • Have the option to charge dues. • Have communications vehicles that allow them to share information/content materials, networking opportunities, and member news with themselves and the larger SPJ/journalism audience, such as websites and electronic newsletters. What communities won’t have are direct geographic ties. That’s already true of the Freelance Committee. Moving to a community structure should make our workings more transparent and also more able to engage with SPJ’s freelance membership. We hope it will make SPJ a more vibrant and useful organization for its freelance members. We would like feedback on what SPJ’s freelance community might look like. If you’re in Anaheim for EIJ 2013, come to the meeting on Sunday, Aug. 25, from 1 p.m. until 3 p.m. If you aren’t able to be there, post a comment, or send an email to a committee member. If you’re reading this after August 25, you can still make comments or send e-mails. We are just starting this process. The SPJ board of directors will have to approve our plan, and that won’t happen until its meeting in April 2014. Before then, we need to do some things like attract 20 supporters from within SPJ’s membership, and set our priorities. For priority-setting, below is the wish list the freelance committee put together for a freelance community. • A discussion forum that will support multiple threads/topics. • The option for email discussion groups/alerts. • Support for a jobs board. • The ability to highlight a freelancer or freelance regions. • The possibility of supporting a syndication service. • Support for Google Hangouts. • Support uploading of recent work or recent pieces (more than the three we have now). • SPJ freelance awards competition. Tell us what you like, what you can live without and what’s missing. Whether pitching for a full-time job or a single project, writers and editors use an assortment of tools and tactics to connect with potential clients. Social media, word-of-mouth advertising, personal correspondence and networking events are great for this; they help sell your personality. When it comes to selling one’s skills, however, the best tool remains a clear, crisp résumé. Résumés date back more than 500 years to Leonardo da Vinci, who is believed to have written the first one, but they were informal in style and substance until the 1950s. Today, there are three basic types: the functional résumé, listing work experience or skills categorized by skill area or job function; the reverse chronological résumé, listing work experience by date, starting with the most recent, and going back 10 to 15 years; and the hybrid résumé, which mixes the two types. The typical résumé is short — two 8½-by-11 sheets of paper in length, at most — and direct, highlighting active verbs and essential keywords related to the job sought. Even video résumés are succinct, lasting no more than 60 seconds. That’s because brevity is a courtesy in the current job market, as employers and potential freelance clients may receive dozens if not hundreds of applications for one position or task. Given this flood of applications, nothing guarantees that those résumés are read carefully. Have a clear focus —Résumés are supposed to land an interview, not land a job. Think of writing one as tapping an employer on the shoulder for a quick introduction. Using that approach, the résumé will likely sound more precise than plodding. For video résumés, have a prepared script and memorize it. Reading from a prepared script or cue cards makes the performer’s eyes shift, giving the impression that the job applicant is distracted or untrustworthy. Use clean typography — Certain styles of type read better in print than online, and vice versa. Because employers often ask that résumés be emailed, then print out a hard copy for use in a face-to-face interview, it makes sense to employ a type style that works well in both formats. Ariel, Times and Verdana best fit this purpose. And don’t cram information onto the page; leave room for white space to assure a fresh, inviting look. When making a video résumé, dress as you would for the interview and use a background that lends itself to the theme of the position sought. For example, regarding writing and editing jobs, backgrounds that include books, magazines or other scholarly items add a formal, cerebral touch. Avoid using a plain white or monochrome background, as this can flatten a person’s appearance on camera. Use clear language, avoid pronouns — Precise, polite English conveys professionalism; jargon and slang do not. Keep a dictionary and grammar guide close by. Steer clear of writing “I” or “me” because they are redundant in a document lacking any other characters. Use “Mr.,” “Mrs.,” or any preferred title, if it is known. Include this courtesy in cover letters and contract bids. An applicant’s demeanor matters, too, almost as much as proper language. A résumé that’s negative in tone or critical of former employers leaves the reader with a negative feeling about the applicant. Use descriptive titles — Simply saying “writer,” or “editor,” or “manager” to describe yourself is not enough, as these terms mean different things to different people. A detailed title — end-user documentation writer, acquisitions editor, product development manager — suggests what tasks were involved in the role and paints an image in the employer’s mind. Use bullet points — Long, gray blocks of type are boring and hard to read. Breaking out main tasks and talents in bulleted lists provides something for the eye to latch on to without searching. Include specifics — As with titles, specifics are important when describing work history and personal goals related to the job sought. Emphasize achievements for each past position, expectations and aspirations for the new one. Tell an employer what you hope to bring to the job and how you may be able to solve problems related to it. If there are statistics that suit this purpose, include them. Of course, effective use of detail requires research. Investigate the history of the employer or client before starting to write, and find out more about the job itself through a Google search, and previous or current employees if possible. Edit with care — Nothing devalues résumés faster than poor spelling and poor grammar. Incorrect names and titles can land résumés into the trash, too. So, read through every word, every sentence, at least two or three times and check all facts, then find someone else to read over your work. Inaccuracies cut deep enough through an applicant’s professionalism to also mar one’s personal integrity. Leave prospective employers and clients thinking you’re invaluable, instead of indifferent. This week, if you see a freelance writer, give ’em a hug. Better still, give ’em a job. The annual National Freelance Writers Appreciation Week starts today, and if you haven’t heard it’s a seven-day serenade to all the wordsmiths and keyboard-pounders who give shape and life to ideas on their own time, often on their own dime, so that others without the patience or aptitude to write still have a voice. No proclamation made this week possible; no act of Congress, or act of God — just the goodwill and good sense of people who put a premium on well-rounded words and the diligent souls who smooth them into shape. And there are many of these souls plying this heartfelt trade. Besides being responsible for the words you’re reading here, freelance writers create most of the grant applications, e-commerce strategies and advertising copy that shape our world. They break news and they build reputations; they churn out blogs and business plans, pastorals and poems. In fact, you probably can’t make it through the day without seeing a freelancer’s work in ink or digital print. So, this week, show your appreciation by giving a freelancer more than just a smile. Become acquainted with and support such prime sites for freelancers as the Editorial Freelancers Association, Freelancers Union, and of course, become a regular reader of the Society of Professional Journalists’ own Independent Journalist blog. SPJ also offers a Freelancer Directory, where one can shop for freelance help, as well as a Job Bank, where freelancers can shop in return. And there’s “On Your Own: A Guide to Freelance Journalism,” written and edited by SPJ-member freelancers and free of cost to SPJ members. However, a small donation for it is welcome from everyone, as the money goes to help support freelancers and their efforts. The Christmas decorations are coming down and the New Year’s fireworks are going up. Also around this time, long lists of New Year’s resolutions go up, too. Diet and exercise top most lists, as do stronger finances and better personal relationships. One thing also worth reviewing among freelancers and maybe revising for 2013 is the way they present themselves through social media. Numbers are why. As 2012 wound down, Twitter users churned out 175 million tweets daily. An estimated 625,000 new users joined Google+ daily. Facebook garnered about 850 million active users monthly. And LinkedIn added 50 million members in one year; it needed six years to get its first 50 million. In other words, social media has skipped well past the point of novelty and entered the realm of necessity, especially for freelancers intent on attracting attention. So then, it pays for freelancers to paint a clean, clear portrait of themselves online, if they haven’t already, to keep that attention coming. Profile photos — There’s a reason it’s called “social” media. Nevertheless, a lot of serious people trying to do serious business still hide behind the faceless default icon all social media platforms employ, the result being they don’t gain digital friends or, more importantly, win jobs, says Nicholas Salter, a professor of psychology at Ramapo College of New Jersey. He led a recent study that found those people on LinkedIn with profile pictures are more likely to get hired than those without. Headlines — In a newspaper or news website, headlines are concise declarations of pertinent information intended to announce, inform and attract. In a freelancing proposal, job application or social media campaign, writing with the crisp prose of headlines brings focus and adds clarity to one’s message. Studying the way headlines are written and following their form can do wonders at putting that message ahead of others. Keywords — And speaking of headlines, keywords give those headlines punch. These keywords are the distinguishing terms lacing online business reports, blogs, and especially job postings, that search engines pluck out for categorization. Special attention paid to keywords helps turn heads and boost Web and social traffic. But keep them relevant; don’t trot out trendy terms just because everyone else has. Research — Like the way a drip, drip, drip from a leaky faucet can be distracting, so too can social content designed to make more noise than sense. The best, most memorable content reflects an understanding of the intended audience and an appreciation for what that audience finds interesting. Invest time online in 2013 researching audience behavior and trends. Start by getting to know Google Analytics and Google Trends, and reading reports from Gartner, the Pew Research Center, and Poynter. As a long-time freelancer, one of the biggest challenges I’ve faced is acquiring the kind of benefits that come along with a day job — life insurance, health insurance, sick time, vacation time, etc. For things like sick time and vacation time, I have built those estimated expenses into my hourly rate. That system doesn’t work for insurance benefits though. Because my background is finance, specifically benefits programs, I know where to look and how to evaluate carriers, coverages and premiums. A lot of freelancers don’t have that experience, or don’t want to learn. They want to write! Other freelancers don’t know where to begin to look for benefits. Do you find a local agent, Google “find insurance in Cleveland,” or ask friends for referrals? There are lots of ways to find insurance coverage, but SPJ has simplified all of that for you through SPJ Solutions. Earlier this fall, SPJ partnered with WestPoint Financial Group in Indianapolis to provide SPJ members with access to a variety of benefit programs including life insurance, health insurance, disability coverage, long-term care, liability insurance, errors & omissions coverage and more. Forgive the cliche, but this new program, called SPJ Solutions, is one-stop shopping for insurance benefits and financial services. WestPoint Financial has agreed to work with SPJ and its members to offer a wide range of products and services in all 50 states. For more information on the program’s benefits, contact SPJ Solutions at WestPoint Financial. You’ll receive a response within two business days. You’ll be put in a touch with an advisor who will help you identify what product(s) you need and provide you with options and quotes. One contact. One call. The only requirement is that you are an SPJ member. Not a member yet or need to renew your membership? You can join or renew online now for only $75/year. This is just one more way SPJ supports its members, so you can focus on doing the things you’d rather be doing — writing, editing, reporting, teaching! 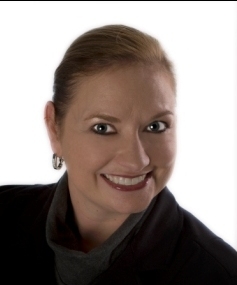 Director of Membership Linda Hall at SPJ HQ is also available to help you with any questions about SPJ Solutions. You can reach Linda at 317.927.8000, ext. 203 or via email. I helped HQ put this program together, so I am available to answer your questions as well. Call me at 360.920.1737 or contact me via email. The first freelance panel at this year’s SPJ annual conference, Excellence in Journalism 2012 focused on international journalism. The panel, Striking out alone in the world: winning strategies for International Freelance Reporting, featured Kira Kay and Jason Maloney, co-founders of the Bureau for International Reporting, Jina Moore, contributor to the Christian Science Monitor and others, and was moderated by John Schidlovsky, director of the International Reporting Project at Johns Hopkins. In a well-organized, sharply presented panel, they drew on their extensive experience abroad and working with other journalists My summary of their remarks starts with this: It is still possible to be a freelance correspondent abroad, but don’t expect a glamorous life hobnobbing with world leaders in posh hotels. Especially without putting in a lot of legwork. 1) Develop your contacts, sources and ideas while here in the U.S. Jina Moore suggested that if interested in Vietnam, go to Vietnamese restaurants in your area and find out what they’re talking about. Write about people from the country or with connections to the country that you want to visit. Develop a reputation for being interested in the place and it will help open doors when you’re ready to go. 2) How to pay for it? The message by and large was tap into foundations and international reporting fellowships. John Schidlovsky rattled off a number of sources for funding, including his own organization, the Pulitzer Center, the Alicia Patterson Foundation, and the panel was sponsored by The Stanley Foundation. Kira and Jason have incorporated as a non-profit so their fundraising could help their administrative overhead and provide for a bit of salary. Not something that will work for regular freelancers (it’s worth trying to get a newspaper or magazine to pay a small administrative fee, but don’t hold your breath). Jina Moore said it was still possible to string together multiple assignments from a place to cover your costs — John Schidlovsky noted that one IFP fellow did 11 stories from Micronesia just by being creative about story approaches. 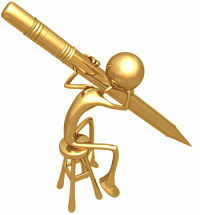 But know that it is difficult in the Web era to repurpose an assignment for different outlets. Jina has developed her skills so she can work in both print/text and radio, and that helps her do more stories while traveling. She cautioned, too, not to expect to pay for a trip by getting a plum assignment when you’re on the road. 3) planning a trip requires setting up fixers and multiple interviews ahead of time, before you’ve gone. You also need to network, to develop a group of editors that you can ping before going some place. Spend time in New York or other places where you can try to meet editors in person, to develop relationships. Don’t just jump into a hot spot looking for stories, the panel cautioned. Yes, you can find great pieces, but also great peril. Jina Moore said she had never gone to Somalia, Iraq, Afghanistan because she feels like she’s not prepared to be there. That is, she feels unprepared to deal with the potential for being kidnapped or worse, or asking her organization to get her out if tthings worsen. Kira Kay said formal journalist visas are a good idea unless you can’t possibly get into a country with one. Having one has helped her get out of difficult situations where local officials wanted to take her equipment and notes, but could not do so because she had an official visa. She also said to make sure you know who to reach out to for help if trouble erupts. 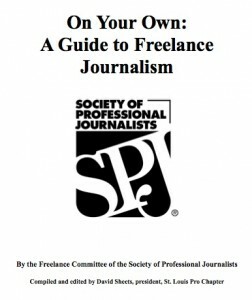 Updated, 9/28: A year’s worth of work by SPJ’s Freelance Committee debuted at Excellence In Journalism 2012 with the introduction of On Your Own: A Guide to Freelance Journalism, the committee’s first effort to consolidate the collected wisdom of its members. The 77-page guide, available only in digital form, addresses a broad range of questions common among new and aspiring freelancers — from bookkeeping to business licenses to branding — soon will be made available to SPJ members in good standing. Later this fall, it will be sold as an e-book for a nominal fee, with the proceeds going toward committee programming. Incoming chairman Michael Fitzgerald says the committee plans to update the guide on a regular basis, and include more personal experiences from freelancers to reflect changes and trends in the marketplace. SPJ also encourages freelance writers and editors not yet affiliated with the society to join and add their input to the guide. Comments, suggestions and criticisms are welcome and should be made to David Sheets, the guide’s editor, by email at dksheets@gmail.com, or through Twitter at @DKSheets or LinkedIn. 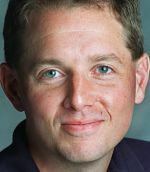 David Sheets, a freelance journalist and former content editor at the St. Louis Post-Dispatch, is Region 7 director and past-president of SPJ’s St. Louis Pro chapter. Without an in house editor, newsroom historian or a librarian at our fingertips to help us navigate the freelance life, it is necessary to cull our own resources. While everyone’s list will vary, I thought I’d share a few of my favorite freelance resources. What are some of your favorite freelance resources? Please post them in the comments to share them with us. Thank you! Dana E. Neuts is a full-time freelance writer and editor and is the publisher of iLoveKent.net and iLoveWashington.net. 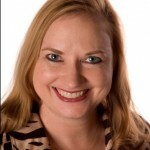 An avid SPJ volunteer, she is the regional director for SPJ’s region 10, serves on the membership committee, and is the chair for the freelance committee. She is also a candidate for the office of national SPJ Secretary/Treasurer. 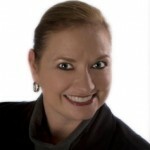 Followe her on Twitter (@SPJDana, @SPJFreelance, @VirtuallyYourz).